Rio de Janeiro is the ideal urban-nature blending. Lakes, tropical forests, waterfalls and golden coastlines make the “wonderful city” a perfect destination for an exotic getaway. Having a slice of tropical beach on your doorstep is one of the key appeals of Rio. The Resort is in Barra de Tijuca, one of the most exclusive areas in Rio, famous for paradisiac beaches and urban attractions. Overlooking the natural reserve, the resort brings elegance and comfort to your stay in Rio. 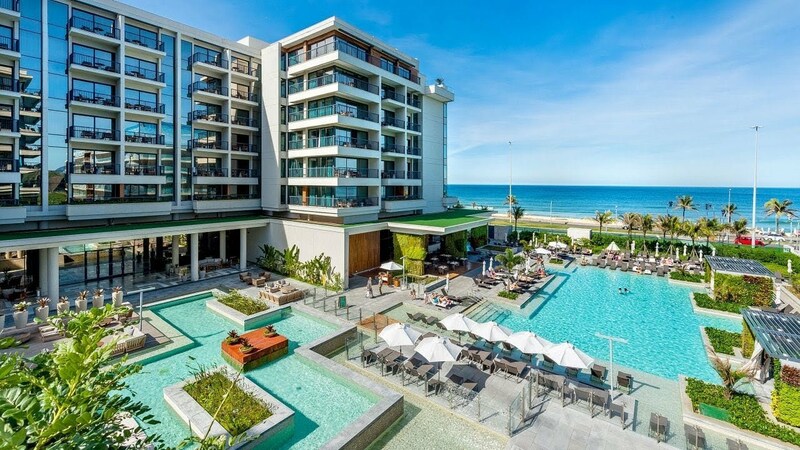 Nested between the Atlantic Ocean and the Marapendi Lake ecosystem, rises the Grand Hyatt Rio de Janeiro, strategically located in the heart of Barra da Tijuca. Marvel at views of the blue Atlantic Ocean and breathtaking sunsets on the lagoon. The resort is 30 min from Galeão International Airport (GIG). We will make this holiday a gastronomic experience by designing a menu with a variety of Mediterranean, International and Brazilian Cuisine, while respecting the strictest laws of kashrut. All the meat will be Glatt Kosher- Halak Bet Yosef. Dairy products Halav Israel. Pat Israel. Alonso has been chef of Exteriors in Top Chef Spain since 2013, and has been successfully working with KDeluxe for over 5 years. The Chef is ready to delight us with her preparations of the higher gastronomic standards. We will have a full entertainment program for babies, children, teens and adults. A program to surprise and please everyone in your family. Welcome to the Cidade Maravilhosa (Marvelous City). Rio de Janeiro, a city that is as defined by its natural wonders and striking beaches as it is by its complex urban life, it is a place that offers a bounty of experiences for the traveller. We will have a full program of excursions and day trips.